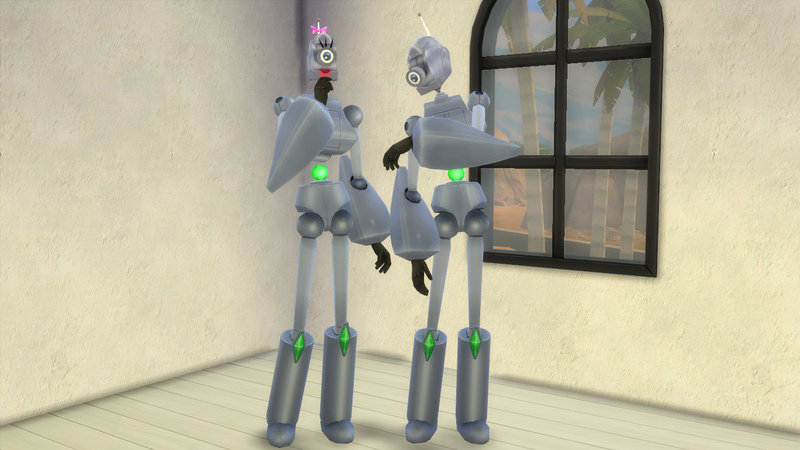 The heads and bodies are a single item, found under "Skin Details" in CAS. The formal outfits (dress and tuxedo) don't have heads, and are designed to be used with the unclothed heads and bodies in skin details. Choose the unclothed body first, then apply your formal outfit. 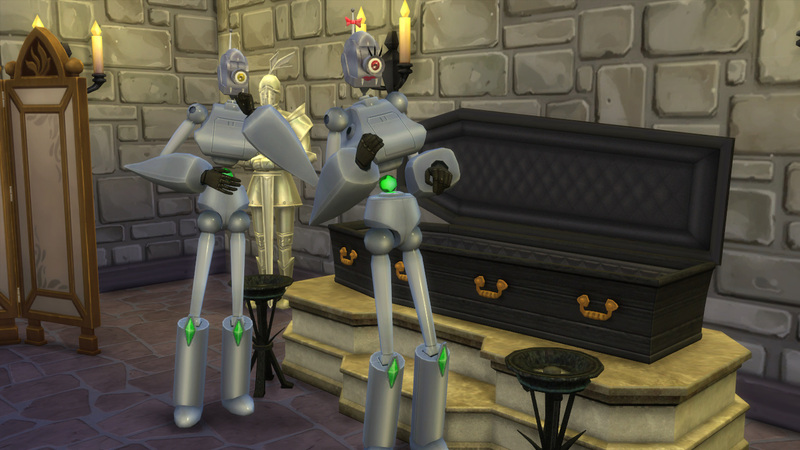 I've never played with Servos in the SIms 2, but I definitely will now. Thank you for your wonderful work. Mods like these are what make the game truly fun. By the way, do Servos have families? 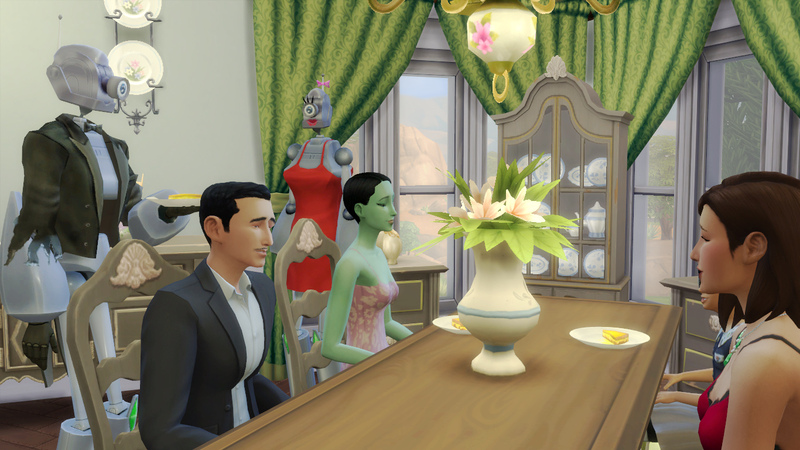 The only way I could possibly think to make this any better would be if wearing the suit gave the Sims the same type of voice as the GTW aliens so that it sounds a bit electronic. The previous version of this actually allowed for you to make your aliens wear the Servo outfit (it was assigned as hair instead of skin details), but that caused some problems with the overlaying of the formal outfits, so I had to scrap that. Hopefully some modder will come up with a custom trait that changes their voice type! 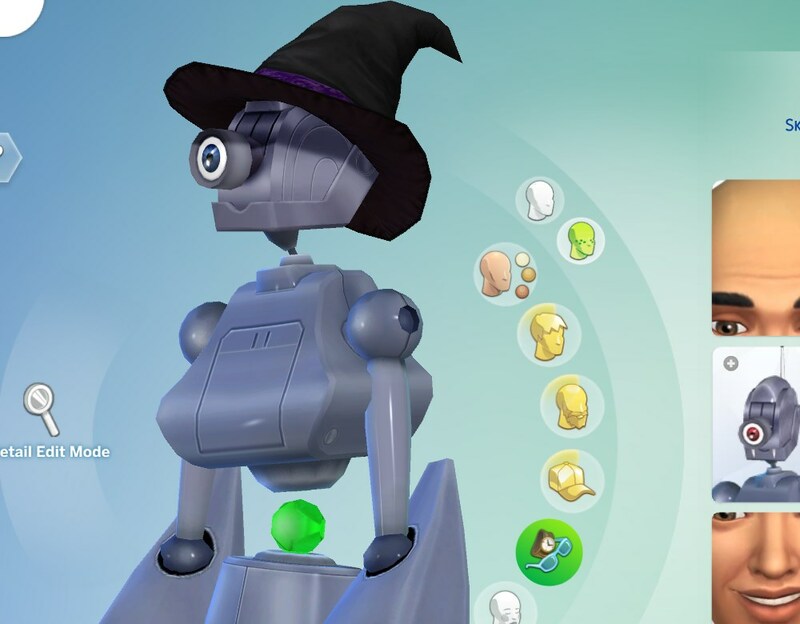 I had one little issue when turning a sim into a servo: they were already wearing a necklace, and when I selected the hat outfit, the texture of that necklace got mapped onto the hat. The simple fix was to just remove the necklace from the sim, but can you perhaps put that in Known Issues? 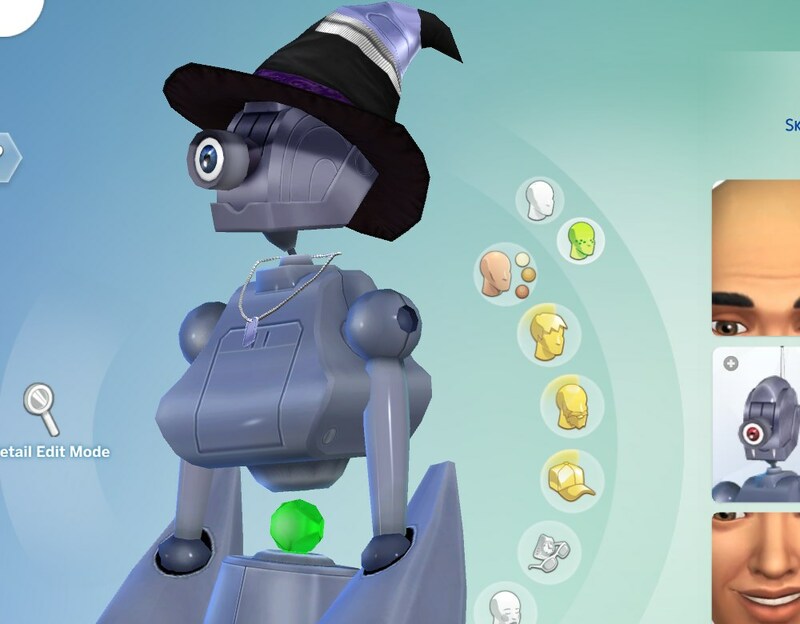 When people don't know how the accessory parts are mapped they will probably not make that connection, and think that the hat texture is weird. Ah, thanks for pointing that out. Yeah, the necklace is enabled for these outfits because of how I set up the formal costumes, so that's sort of an expected glitch. I'll add it to the description! 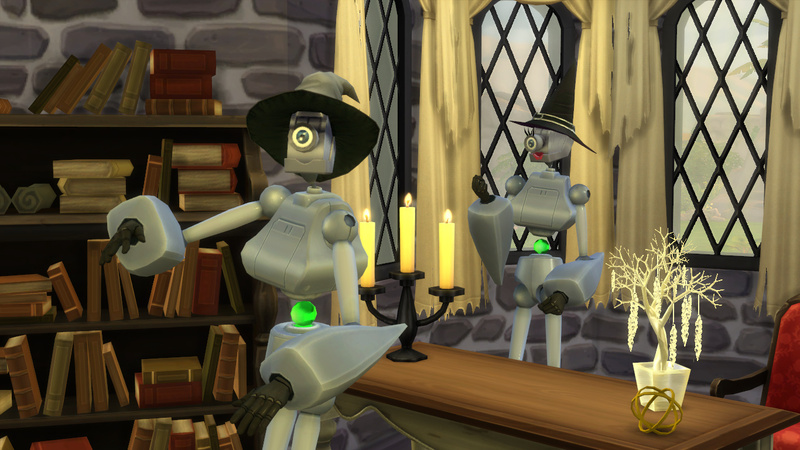 Hmm Esmeralda built the same Servo December 2014. http://www.modthesims.info/download.php?t=542670. That is another conversion of the same thing, yes -- it works differently though. 17th Feb 2016 at 4:17 PM Last edited by Qahne : 17th Feb 2016 at 10:25 PM. 18th Feb 2016 at 9:45 AM Last edited by Esmeralda : 18th Feb 2016 at 10:03 AM.